The new c-express 920 classic Format-4 CNC drilling and milling centre, carries out all repeat drill and simple milling work efficiently and precise, all in record time. Developed with the smaller workshops in mind, the c-express 920 classic offers a sensational price/performance ratio. Uncompromised development at Felder ensures you profitable CNC productivity. At the touch of a button, repeat drilling work programs can be loaded and reused. 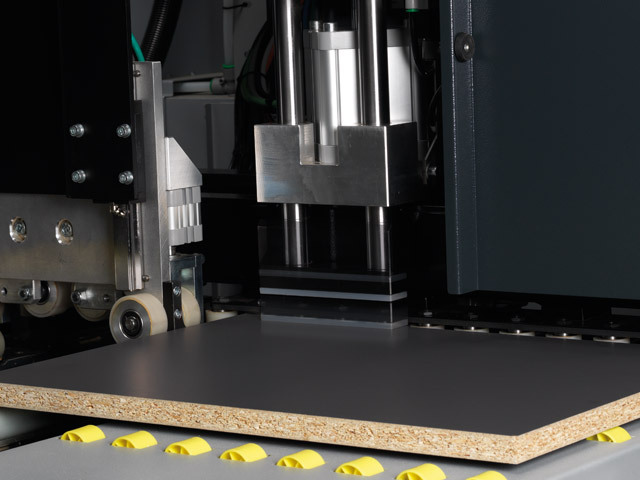 This ensures that CNC controlled cabinet production is a profitable option for every workshop, regardless of space constraints. The c-express 920 classic is equipped with a DH15 6H 1S drilling head as standard. One of the specification options on the machine is the milling aggregate. The tooling is clamped using an ER32 chuck. Changing of the tooling is carried out manually. This aggregate is used for the routing of cutouts, pockets, grooves and rebates. The milling unit can be used for 3 sided reference cuts as as well as for milling forms within a workpiece. The workpiece has to be positioned at a right angle to the machine. 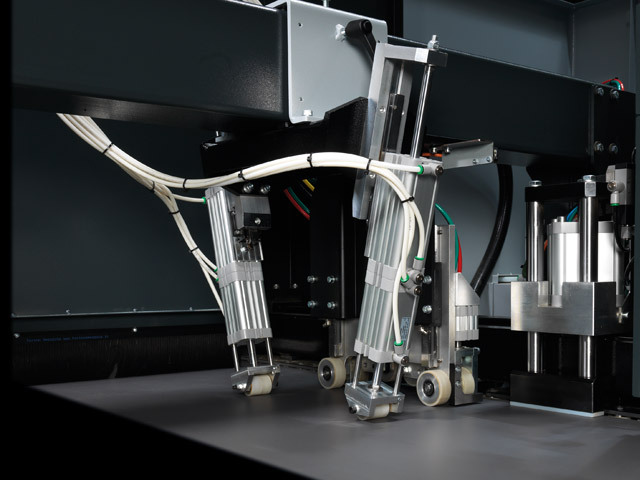 The horizontally designed transport system ensures the smooth transport and accurate positioning of workpieces of up to 30 kg in weight, allowing them to be processed from below by the aggregates. 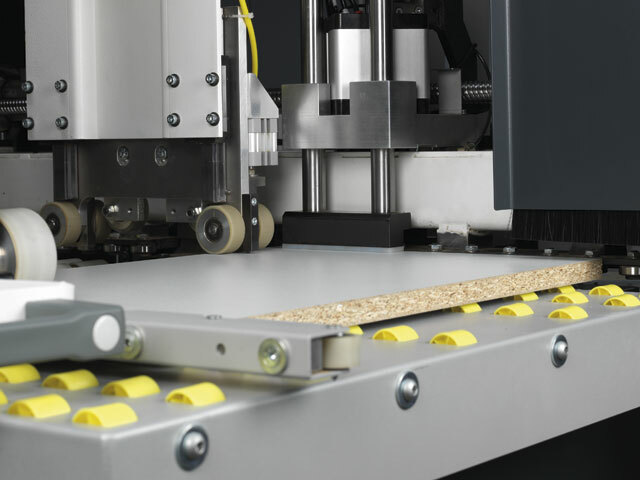 This design of the transport system prevents movement or burning of the workpieces by the tooling. 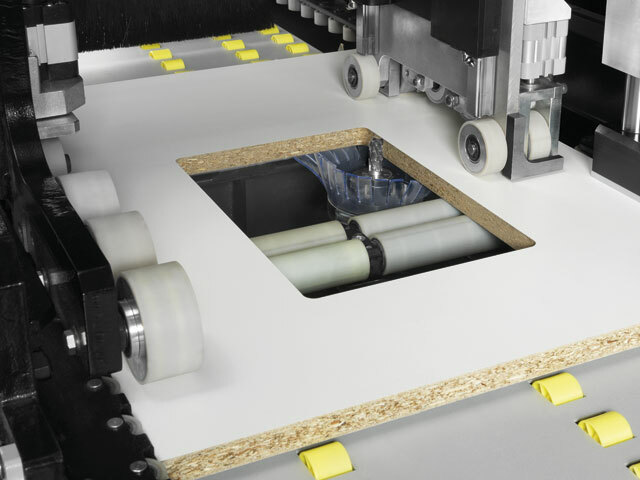 This design of the transport system prevents movement or burning of the workpieces by the tooling. The fence positioned on the side allows the width of the workpiece to be set at any value up to 920 mm. The workpiece is then supported and guided from both sides guaranteeing a highly precise result. 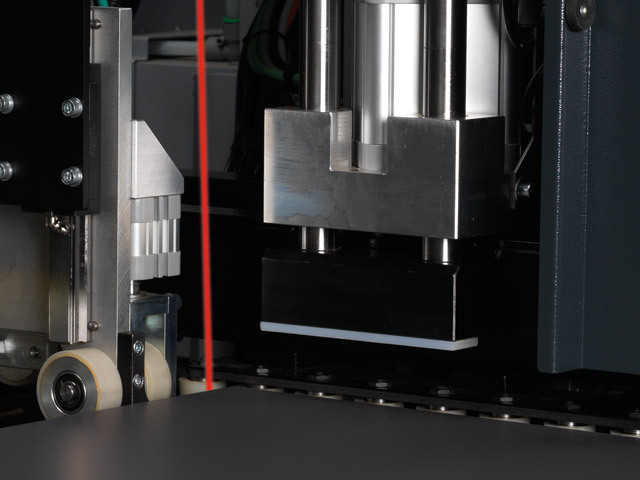 An extra attachment for narrower workpieces enables the exact processing of workpieces of between 70–180 mm in width. When processing very wide or thin workpieces the pressure device guarantees an exact processing depth. The use of the most modern measuring technology guarantees precise measuring of the dimensions. A laser and encoder measuring system are used to measure the exact length of the workpiece. 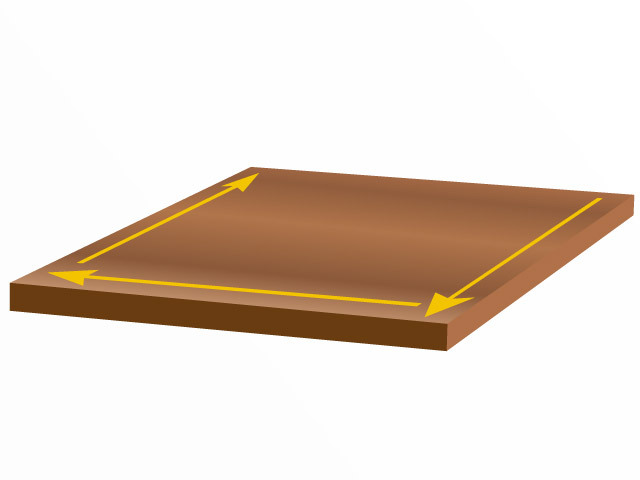 This is of particular importance when it comes to construction connections for cabinets, ensuring that there is no overhang between the panels. Ideal for the improved processing of longer workpieces. 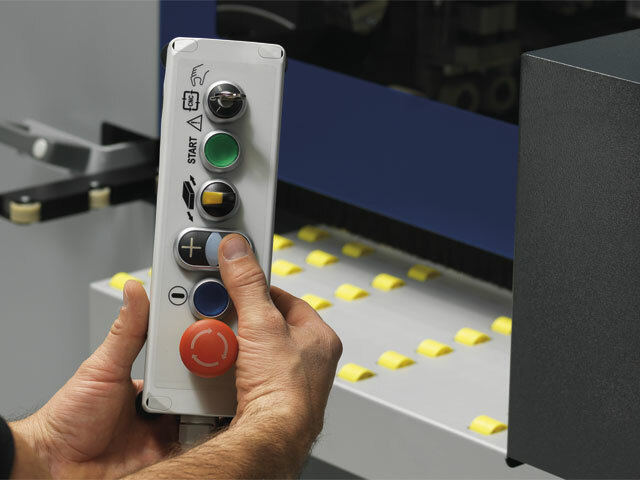 The controls of the Format-4 have been specially developed for woodworking machines for drilling, milling and sawing. Operation of the machine is carried out using a graphical user interface (self-explanatory diagram display). 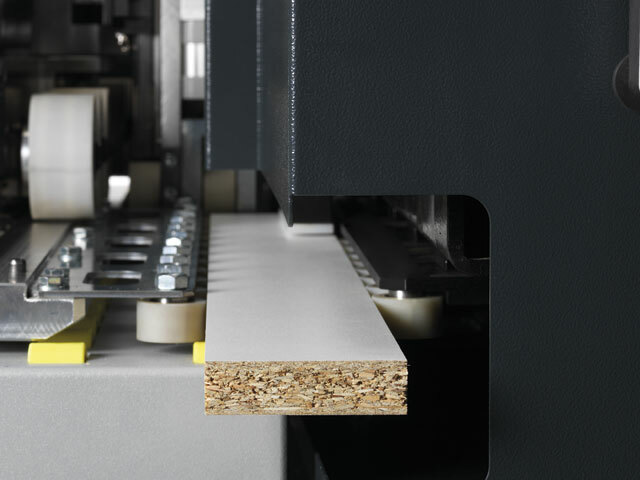 The programming software „Wood-Flash“ enables quick and easy programming of the workpieces. 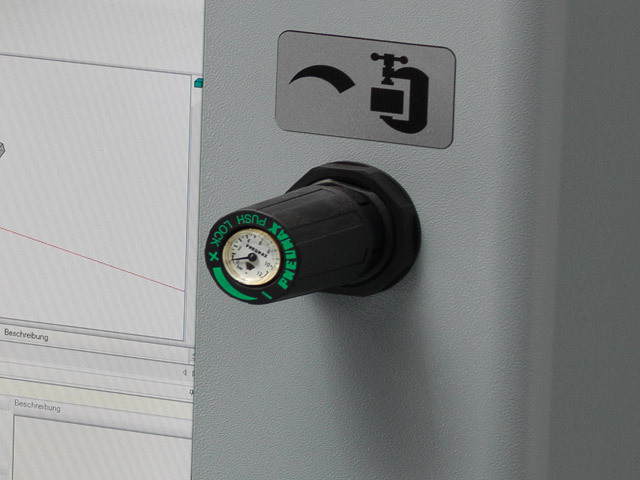 The 19“ LCD colour monitor, clearly and simply displays all of the processes to be carried out on the workpiece. 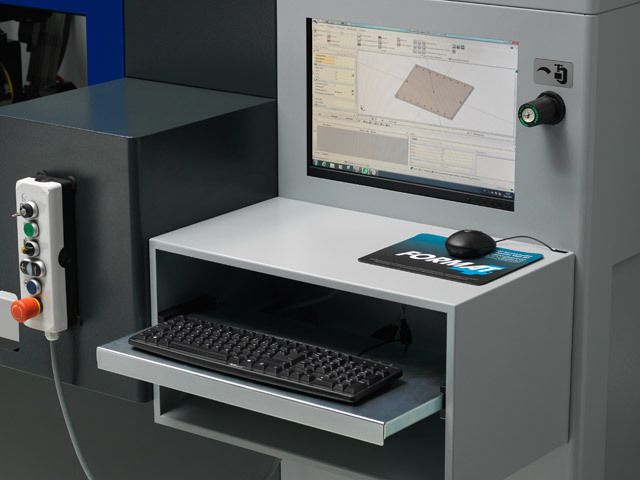 As an option it is possible to link the machine with the cabinet programming software Flash 3D, that guarantees an even more rational processing of customer orders. In order to achieve an optimal result even when processing sensitive surfaces! Maximum adjustable pressure up to 100 kg. The working process is simplified as the hand terminal can be positioned as required. It is always there when it is needed. This function allows the operator to program the machine to feed the workpiece to the rear when finished. 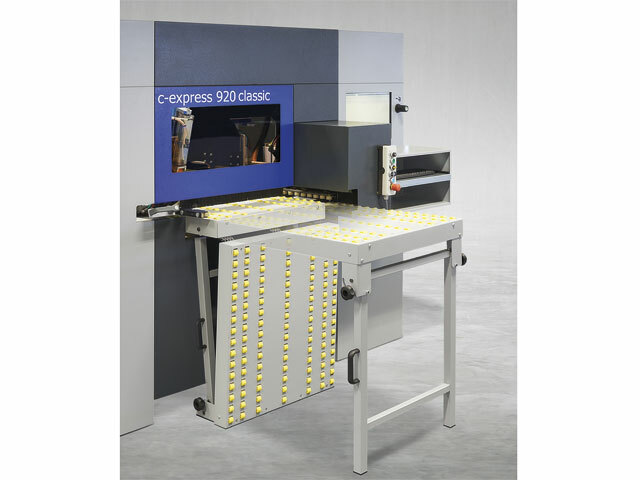 This system allows the c-express 920 classic to be used in a production line. 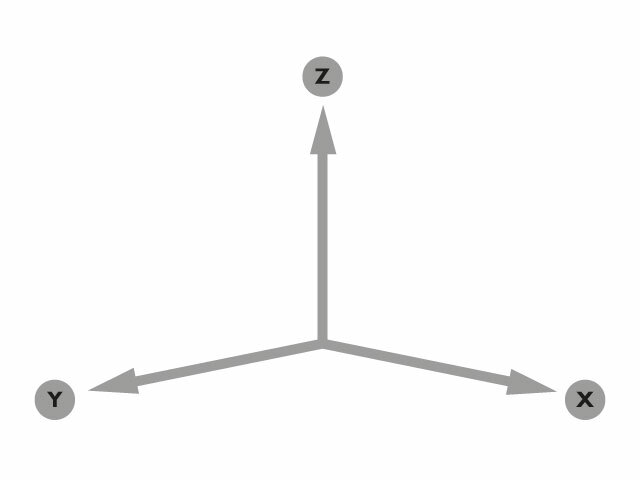 Selecting the unloading direction is easy to do, using a selection switch. Optional additional table for the infeed and outfeed side.